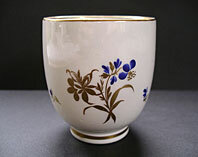 "A delightful elegant little gem of Caughley eighteenth century English porcelain. 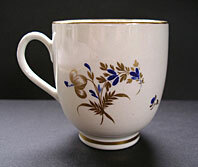 This finely potted Caughley coffee cup was produced around the 1780s at Thomas Turner's Caughley Salopian Porcelain Factory, Broseley, Shropshire. 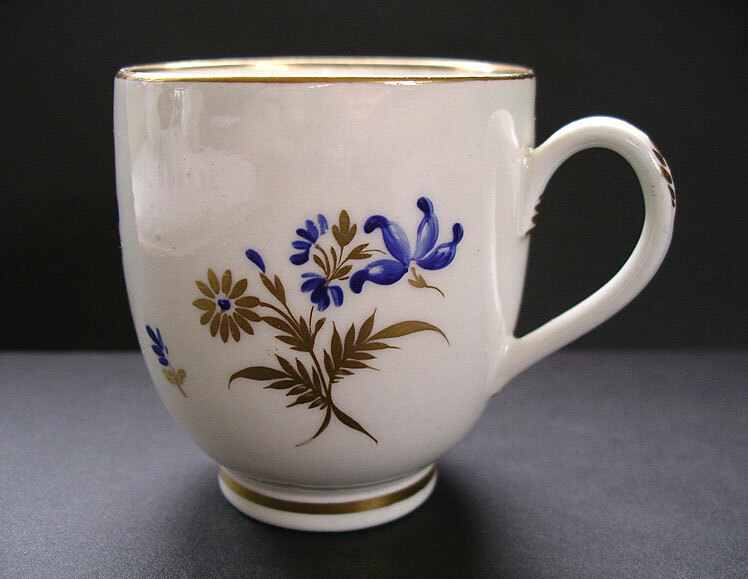 Most probably it was hand decorated at Caughley with this Gilded Blue flowers pattern but similar patterns were also decorated on Caughley blanks by the Chamberlain Worcester decorating establishment. Flight Worcester also produced a similar pattern. 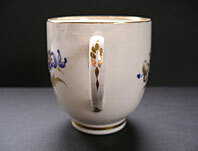 A super example of 18th century English porcelain for the discerning coffee cup and coffee can collector." Antiques Expert Hamilton Bear. 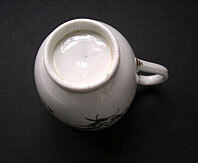 Dimensions: height 64 mm max. 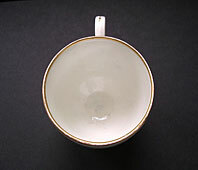 Condition: Please note that the piece is in excellent condition. There is no restoration. Gilded pattern is first rate.